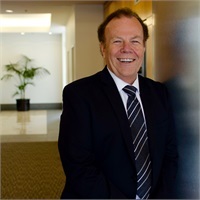 Robert W. Carey, (Bob) has been involved in the financial, insurance, real estate and investment industries since 1985 when he co-founded Carey Accountancy Corporation. In 1991, Tom Hanna, CPA arrived and the firm of Carey & Hanna, CPA’s was formed. Bob graduated from Lewis & Clark State College in Lewiston, Idaho with a Bachelor’s Degree in Management Technology. He is a Certified Public Accountant, a California licensed Life and Health Resident Insurance Provider and a Registered Representative* and Advisor.He has worked for a large public utility company, taught for the University of California at Santa Barbara and spent 10 years as a full-time Deputy Sheriff for Los Angeles County and Kootenai County Idaho. Through the years, Bob has lectured for business organizations and is a court-acknowledged expert in Ventura County and the State of New York. Also, since 1979 he has been a California licensed real estate salesperson and a landlord for his own properties. His broad experience is welcomed by many. Currently, Bob enjoys real estate tax, financing, and estate planning for business owners, professionals, and high-income individuals. His approach has always been to teach his clients as much as they want to know. Bob’s philosophy is simple and direct: “Position my client for opportunities by identifying their wealth-management needs.” By providing attentive, personal service, Bob has built a satisfied base of loyal clients upon his reputation of service and expertise. He continues to excel by improving his technical knowledge through continuing education and licensing. In his personal time, Bob enjoys playing golf, but his life-long passion has been as a pilot of his own airplane. His flying experience includes both single and multi-engine aircraft and a “Self-Fly Safari” of Africa’s inner country in 2007. He has also done sky-diving – go figure!